We opened our Euan Roberts exhibition last week to lots of keen art and beer drinking fans! We were really pleased to be able to offer tasty tech beer from Lost & Found Brewery and very pleased to meet local artist celeb Chris Riddell, all amongst the life changing and affirming paintings of Euan Roberts...some life goals were definitely reached! The show is on until the 8th of June, so come down and check it out, or visit the website for all available works. We also released a new edition of his ever popular I'm Ok prints, this time with the lovely Livy from Dopple Press, in three different punchy risograph colours. Only £35 each and selling fast! We've previously released Jim'll Paint It's work under his '30 Squared' alias... but are now proud to release the first ever signed limited edition print released under his more famous pseudonym. "Hey Jim. Please could you paint Bert and Ernie taking a trip to Vegas ala Fear and Loathing, with Ernie worried about stopping in bat country (ie The Count) and possibly with Elmo as their petrified hitchhiker?" The print is a signed edition of 100, 50x50cm, for only £50. 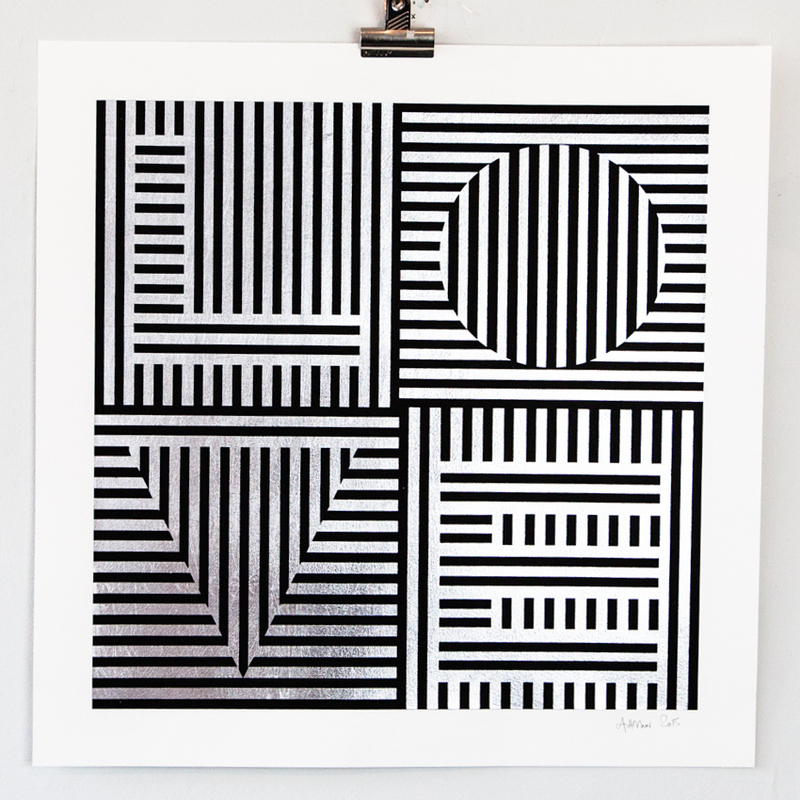 New Carl Cashman screenprint, 'Love Hurts' is available on Friday 2nd October. I've added a whole load of prints to the site, by Antony Micallef; Ericailcane; BAST, Lucy McLauchlan; Nick Walker; Jose Parla; 3D and Invader. I will continue to dig around the cupboards and see what else falls out! I recently came across London artist Oddly Head - and after seeing these prints had to get them in the gallery. Using found collaged images in a similar style to Peter Blake, but with much greater impact, i'm sure these will be seen as classics in years to come! We have three 'Hollywood' prints available - each is signed and numbered from an edition of 300 and priced at £165. We have some great new Secondary Market work available by Banksy and Faile. First up this unique 1/1 version of 'Happens Every Day' is one of the best Faile pieces i've ever seen! We also have a number of Banksy prints available, including NOLA, Stop & Search, Bomb Middle England, Weston Super Mare, Have A Nice Day, Jack & Jill and Flags. Aroe popped in earlier to drop off some copies of his new screenprint. I only have FIVE available from the edition of 40... the gallery now has a pleasant hum of spraypaint thanks to the uniquely painted backgrounds. I love the pink background in particular... a nice contrast to the gun! In other news, Aroe is planning to distribute 26 paintings for free WORLDWIDE tomorrow. Keep locked into his Instagram for details.... this is a truly global giveaway! From now until midnight on Sunday 30th November, there is FREE WORLDWIDE SHIPPING on everything on the site. Fill your boots! 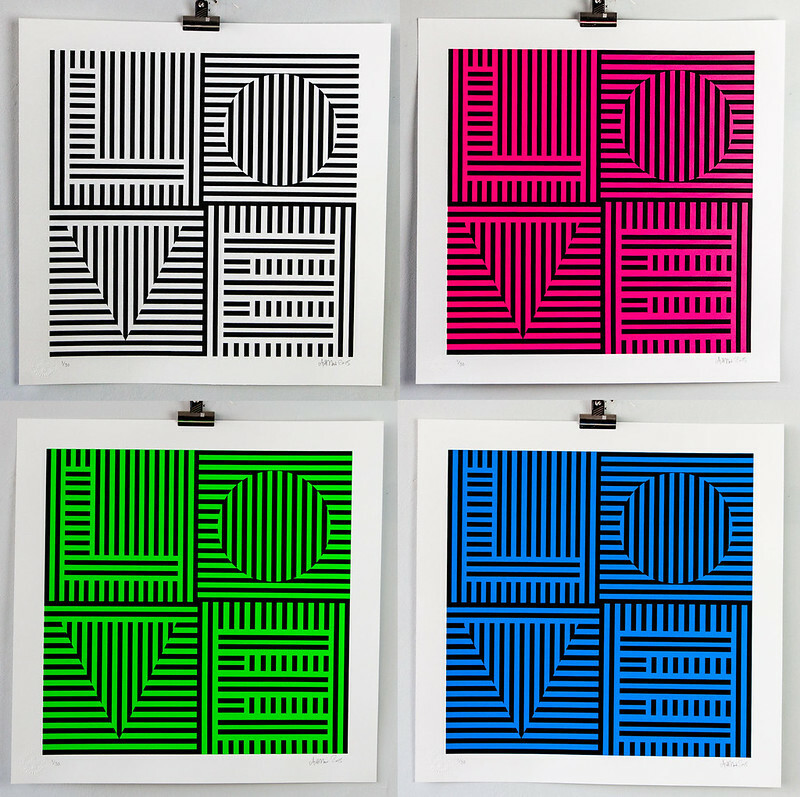 Three brand new and very limited Alex Dipple prints are available now... as usual with Alex these look fantastic - they're small individual screenprints (each with small variations) mounted onto board. So the news is out.... we're releasing a new print by Dscreet next Thursday (19th November) at 4pm. We've made a couple of special versions that are looking VERY sweet! There's a new print in the works! It's fantastic to be sent photos of artwork framed up and hung..... we recently sold this 'Happy Choppers' print by Banksy, and it's great to see it ready for the wall. That's some wonderful framing! An exciting delivery this morning - this framed Scott Scheidly print is too good for words! One for the personal collection...! All the original work from Carl Cashman's solo show is now SOLD OUT! Big thanks to everyone who bought a piece. 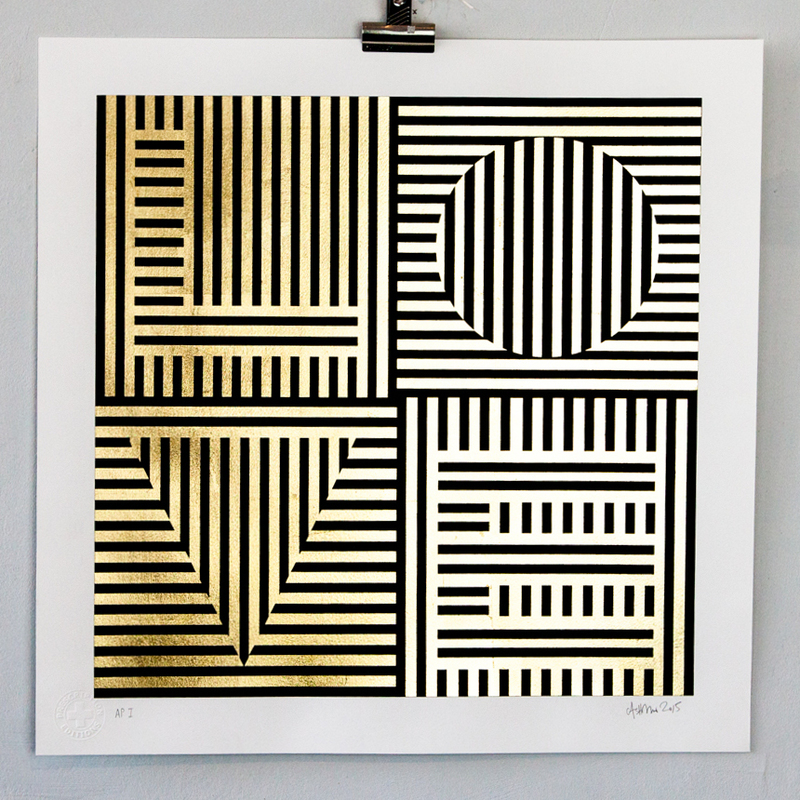 We do still have copies of this amazing 10 colour screenprint left. It's 70 x 70cm and priced at £150.